I find this time of year one of the toughest times; January, February and March. Christmas and New Years are a distant memory. There isn’t much to look forward to or do in the first few months of the year. Spring, let alone summer, feel like an age away. You wake up, leave for work in the dark, work all day, and come home to a dark house. It’s a really tough time of year so I thought I’d share some of the ways I trick my brain and comfort myself during these months. It’s all about creating a comforting and cosy environment for yourself. Here in Ireland, the first few months of the year are incredibly dark and dull. My first step to creating a comforting environment at home these months is to make your own light. Turn on a lamp, a central light, and / or light a few candles. If I were to sit at home without any lights on, I know I’d quickly start to slip and feel terrible. 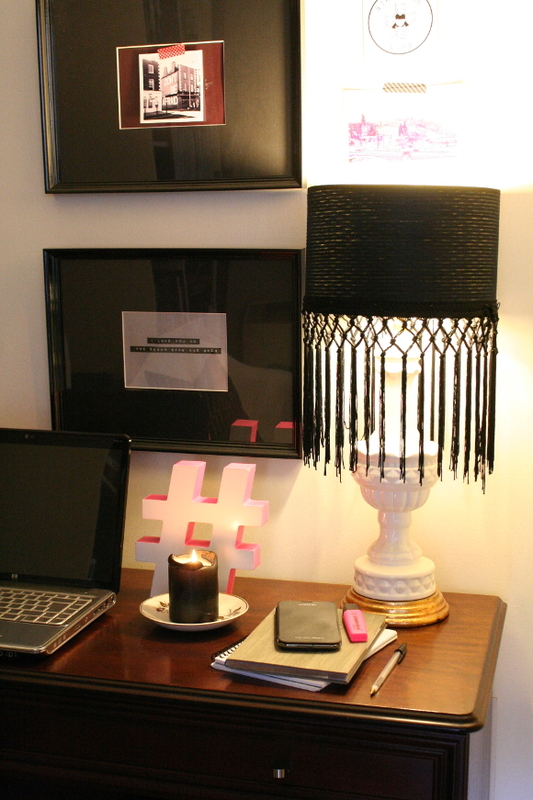 I try to catch myself before it starts by turning on a few lights around the room or wherever I’m working, and visually warm up my environment. When I started to work a bit more from home, the first thing I invested in was a radio. A second sense I know I need to trick is my ears. For me, complete silence is not good. 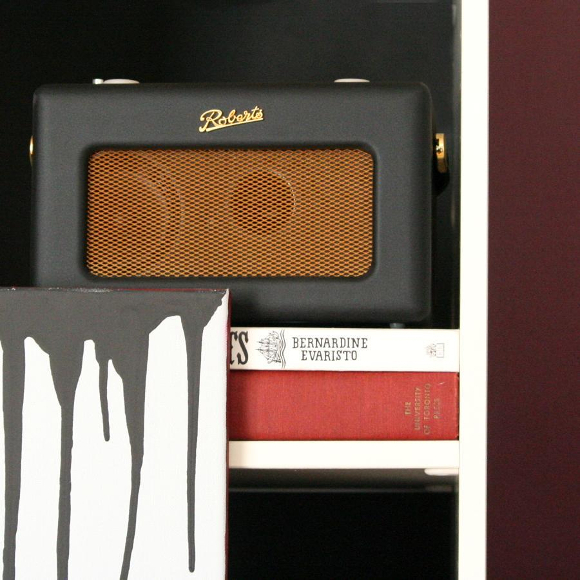 I splurged and bought a black revival Roberts radio. I have it on in the background when I’m doing housework, writing and working on my laptop. I’m listening to it right now. Background noise, especially a radio with someone talking, my favourite songs or an interesting debate, helps me feel less alone during the day when I’m working at home. Also, the fact that husband’s name is Robert may or may not have influenced why I went with this particular brand. Except he occasionally points at the radio and says it’s his because it says ‘Roberts’ on it. Welp. Yesterday was a bad day for me. The weather was horrible and the crazy irrational hormones came to visit. The ladies will know what I mean. I was in an awful mood and couldn’t shake it. I felt terrible. I wanted to do something, but without actually doing anything. I hated everything. I eventually thought of something that might cheer me up. 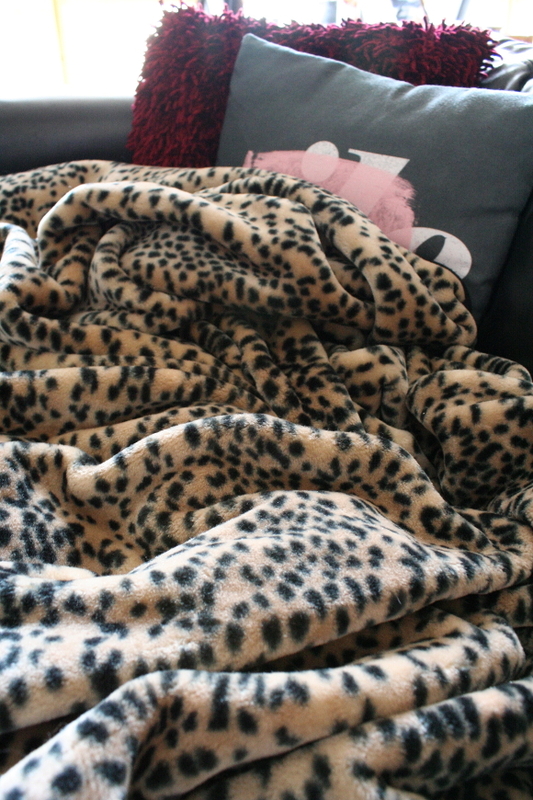 After we got all the remedial Sunday stuff out of the way [grocery shopping, yay], I cuddled under my favourite blanket on the couch, drank my weight in chocolate milk out of my favourite tea cup, and cuddled with kitties while watching Jurassic Park [90’s kids FTW!]. Sometimes you have to actually cover yourself in things that make you feel better. This could be your favourite ugly / comfy sweater, an exceptionally fluffy duvet, or even a onesie [which I was wearing under said favourite blanket, btw. Represent]. Hell, a couple of months ago husband and I built an actual fort in our living room one night and watched TV in it. It was ridiculously fun. For these months, I find it especially important to make plans with family and friends. Book a couple of dates over the next few weeks to look forward to. A bottle of red with your BFF, a living room picnic with your significant other, or a movie night in with your parents / siblings / whoever. These plans don’t necessarily need money thrown at them. Get creative. If you’re feeling isolated, lonely or stuck in a rut, you might not be the only one. Get in contact with a friend or family member and make plans. Mix up your plans or daily routine and try something new. After all, variety is the spice of life. I know these aren’t groundbreaking pieces of advice, but these are the little tricks I use during the darker months, when I’m having a tough day, or find myself alone for long periods of time [sometimes my work is quite lonely]. I’m learning to look out for myself. When I find myself starting to slip, my first reaction is to look out for things that will pull me up. I’m really just a giant cat, so a soft blanket and a warm light help, even if just a little bit. Next Post New dainty pink living room rug! If you're ever feeling lonely, just whatsapp some crap to me! Husband does that to me too! He'll casually say before he leaves for work, "you should go out for a walk today or go do some work on your laptop in a cafe! ", but I know what he's up to. As I quickly sent via WhatsApp the other night, you get me right in the feels, Maria. Hermits unite! I actually love working from home too, but I find the winter months really tough at times. I'm not a fan of sunbathing, but when the sun does choose to come out here in Dublin, you can find me spinning with arms wide open. SAD really does effect me. I like being holed up at home, but sometimes it does make me disappear into myself. Who'd have thought that we could get us hermits all together over in Dublin – quite a feat!